There’s a magical element when it comes to all of the different layers of love. You can love in different ways and you can be loved in different ways. When it comes to creating art, love is universal in the act and in the concept and especially in the fact that love can be expressed through the lens of happiness or through the lens of heartbreak. More specifically, in music, you can explore the positives of love in the saddest song, the negatives in a bop, and the search for self-love and acceptance through a banger with any and everything else in between welcomed as well. Ilana Armida’s sophomore EP, Iridescent Flower Child, comes out this Friday, January 13th, and while only 4/7 of the tracks have visuals available (which I have linked below) and can currently be heard to the public, I received the opportunity to listen to the amazing EP early. Iridescent Flower Child is an exploration of growth, according to Ilana, “both as an artist but also as a person and a woman coming into my own.” But it also explores the concept of love, for the self and for others, while cleverly balancing the line of playfulness and maturity. 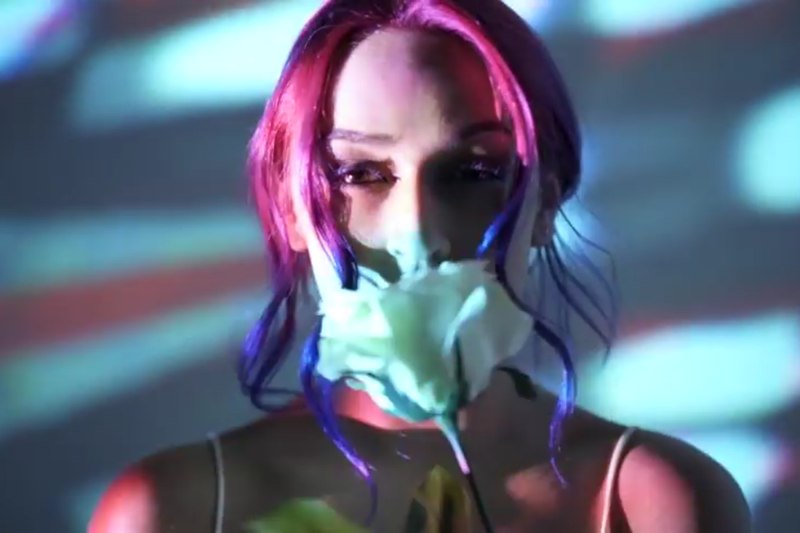 “This Feeling” is the introduction track to Ilana’s Iridescent Flower Child EP. 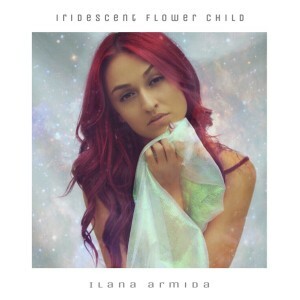 The track begins with a poetic Ilana voice over where she gives the meaning behind the label of ‘Iridescent Flower Child’. “She is created to make you feel, to make you move,” she says. The track then breaks into lyrics beginning first with, “This one’s for you.” The lyrics, to me, tell a story of the Flower Child both holding the power and desperately trying to hold onto the feeling (or the person) that empowers her. Not only is the production value of “This Feeling” amazing, especially for a partially spoken word introduction track, but the visuals blew me away. From the use of color to the shots to even the movements, the visuals are on par with the poetic lyricism while matching in sync to what the instrumental demands of it. The song is about getting out of a relationship that was one-sided where the singer was giving their all, but the significant other only held them down or offered very little in return. 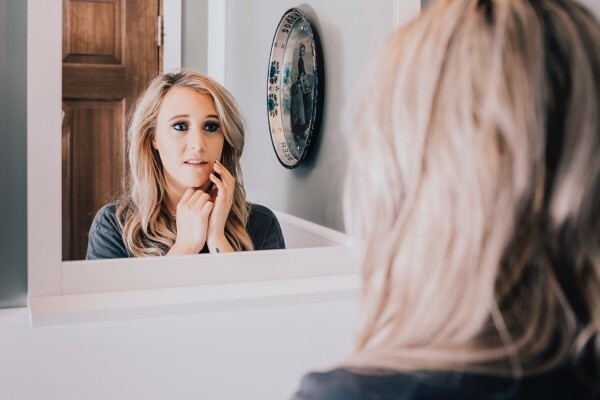 The song feels like it’s set after the moment of sadness after a breakup where now, it’s the realization that you can be your own person and that maybe that relationship was holding you down. “Pretend” is the very first song from Ilana I heard and before even reaching the second verse, I immediately fell in love with her style. The song is very reminiscent of 90s R&B and gives such a feel good and chill vibe. It’s such a fun song that after hearing it for the first time was stuck in my head but in the best way. It compliments her vocals incredibly well and with the music video, it gives almost a dreamlike feeling when you hear it. It’s about just having a good time, living life, falling in love (or pretending to fall in love for the night). The music video features a house party, but anytime I hear this song, I immediately want to just sing it in a car cruising down a highway. “The Magic Interlude” is similar to “James Joint” on Rihanna’s ANTI or NAO’s “Intro (Like Velvet)” on her For All We Know album; it’s a short gem that I wish was longer but at the same time love it the way it is. I’ve been listening to this EP in order track by track as opposed to on a continuous loop so I’m really interested in knowing how it sounds when it’s played directly after “Pretend” and leading into “Dreams” but even at just 54 seconds, the song is just as magical as the title may suggest. This song feels like it offers a different shift from the first half of the EP exposing more of a vulnerable side. But, musically, the song still fits with the rest of the EP. “Dreams” is about trying to get over a relationship, but still seeing that person in your dreams. “I see you coming got me running for cover ’cause you showing up in my dreams and making me remember us,” she sings. This song is the most electronica of all the songs on Ilana’s EP. If the rest of her songs on the EP is 90s, this song feels like it’s breaking out into the 00′s. Ironically, this song has two of my favorite nods to 90s music including one for TLC and one for Bell Biv Devoe (literally grinned when I heard them). The song is a very upbeat, “chase” song if you will. It tells the story of seeing someone and just wanting them badly. I’m really hoping this song also comes with a visual, I think a lot of fun can be had with this one since it manages to be flirty, confident, and fun while being sultry. The final track of the EP, “Still Down For You” is a great closing for the EP in my opinion. It has a feel good feeling to it that is a great place to leave off at. The trick with the song is that it deals with an imperfect relationship but a supportive relationship nonetheless. Want to learn about Ilana and the making of Iridescent Flower Child? Be on the lookout for our interview with her out this Friday, January 13th. You can stay up to date on all things Ilana Armida by following her Facebook, Soundcloud, Youtube, Twitter, and Instagram accounts. Iridescent Flower Child comes out this Friday, January 13th on all platforms and is currently available for preorder on iTunes here.